I made the switch from Firefox to Chrome for full time web browsing and research about a year ago and have not looked back. The speed and performance of Chrome, even while loaded up with extensions and dozens of tabs can not be beat. It’s also one of the most secure browsers available today. I’m not writing this to get you to convert to Google Chrome, but I am going to tempt you with a collection of amazingly useful new applications and extensions that can be found in the new Chrome Web App Store. Enjoy! Window Resizer – Quickly change the size of your actual browser window to see how your website looks at common screen resolutions. Web Developer Tools – This is identical to the web developer toolbar that is so popular for Firefox users. Featuring an assortment of useful web dev tools. Development & Code Search – Provides quick access to documentation for popular programming languages. IE Tab – As the name implies, launch a tab running Internet Explorer inside chrome to see how your website looks for those poor souls. Sight – Automatically highlights code syntax when source of websites is viewed in the browser. MeasureIt! – Determine the pixel width and height on any element of a page. 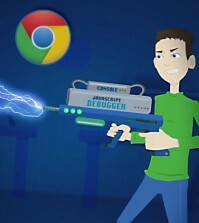 Speed Tracer – This official Google plugin really puts your website performance to the test and provides valuable information for improving load times. csscan – Quickly view the CSS properties of any element on a page. Create Link – Allows you to copy the current page URL and title as a fully formatted HTML hyperlink or customize your own link structure. SEO SERP – Check the search ranking performance of multiple websites against particular keyword term or phrase. SEO Site Tools – A comprehensive suite of tools for researching and analyzing SEO and social performance of any website. Pixlr Grabber – Useful for taking a full or partial screen capture of any website and instantly enables crop and editing. Word Count – Watch what you’re writing. This app counts the words and characters within a selection. RSS Subscription – Amazingly, Chrome does not automatically recognize RSS feeds. This application remedies the problem and helps you quickly subscribe to the feed of any blog. Session Manager – Enables you to save individual sets of tabs to open anytime you want. Use this to quickly open a set of important websites or for repetitive tasks that require multiple windows. 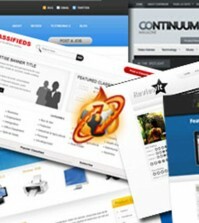 Personalized Web – This powerful application allows you to mold the web to work for you. Modify the code of any site to your liking. iMacros – Automate repetitive tasks with ease with this advanced application. Record and playback actions to make your PC do the grunt work. Stay Focused – Limit the amount of time you spend on time-wasting sites or manage your marketing efforts by making sure you cover all the bases before you run out of time. Proxlet Tweet Filter – An amazing new web application layer for Twitter.com that enables useful features such as filtering your twitter stream, hashtags, and blocking annoying Twitter applications. Thank you for browsing this list of tools for website development, blogging and social marketing. What are your favorite items from the Chrome Web App store? 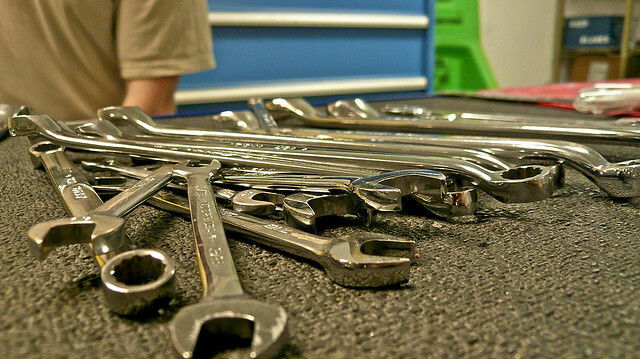 Let us know which tools you can’t live without. If you found these Chrome applications useful and know someone else who might, please consider sharing this post.